A lifetime writing gadget? Talking about writing gadget, you might have read our post about Sharpie Liquid Pencil. And now, the new Chimera Inkless Metal Pen is designed with a tip made out of lead, which is far more rugged compare to those graphite tip on pencils. Writing with Chimera Ink-less Metal Pen is quite a unique experience, as the ink comes in solid shape, which never need sharpening, refill or those clumsy cleaning works for the mess caused by shattered ink due to damage of your pen’s tip. 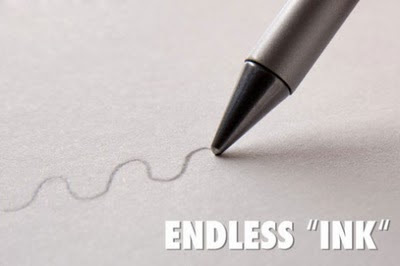 The wonder of Chimera Inkless Metal Pen is, the lead doesn’t smudge in your pocket. Whatever you want to call the writing gadget, this one is a neat lifetime writing instrument for your collection.